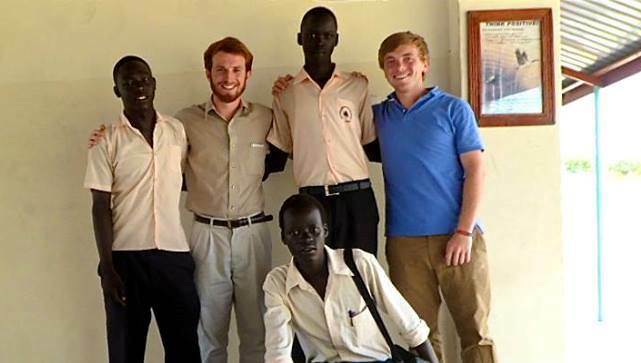 MARIDI, South Sudan -- For this edition of the international volunteer interview series, I spoke with Theresa Kiblinger and Ariel Zarate, American volunteers living in “the bush,” of Maridi, South Sudan. Despite South Sudan’s prevalence in international news these day, and obstacles like two hours treks through six-foot-tall grass to get to a mobile clinic, and bouts of malaria, it is clear from talking to these two extraordinary women, that there is nowhere else they’d rather be. AZ: I went to Lewis University in Romeoville, Illinois and I graduated with a Bachelors in Social Work in the fall of 2013. I have been drawn to international social work since high school when I decided that social work was the field I want to go into. 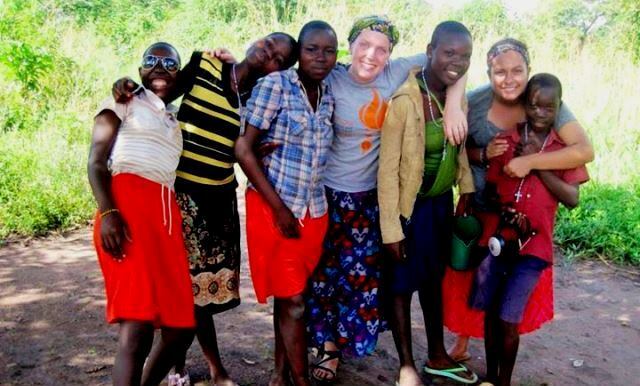 I attended Lewis University primarily for the international service opportunities they offered. The primary extracurricular activities I participated in during my college career were social justice or social service oriented. After participating in my first overseas mission trip to Bolivia in 2010, I was hooked. Traveling, serving and learning about new cultures brought peace and joy to my life. I continued with my mission work throughout my four years, going to the Philippines twice and participating in multiple domestic service projects. ‪TK: I went to Rockhurst University, a Jesuit school in Kansas City,‬‬ Missouri, where I got my Bachelor’s of Science in Nursing. I think my whole schooling has helped prepare me for this‬ mission work. My clinical rotations in nursing school definitely‬ prepared me for the skills that I have been using at the clinic. I‬‬ also have volunteered in Africa previously, so the transition to South‬ Sudan was made much easier by my other experiences in Africa.‬‬ I’m very passionate about public health and health education. I also‬ am extremely interested in maternal and child health (MCH). AZ: A typical day for me starts with morning mass at 6:45. Many of the students attend this mass as well. After mass I take attendance for the Daughters of Mary which is a Catholic group for young women dedicated to living more like Mary and growing in our faith as Christians. After that we have a quick breakfast and morning assembly. Monday, Wednesday and Friday I go with a VSDB sister to a village school that we are in charge of running and organizing. We conduct assembly there, teach various subjects, get uniforms and other necessary things in order to get the new school on its feet. Those afternoons I teach art and religion at our base school. Tuesday and Thursday I start my day in the secondary school then teach the 5 aspirants we have English and Group Dynamics. The rest of the afternoon after lunch is spent in either art or religion and just being present in the school to assist with conflicts or difficulties that arise. Most afternoons I help a few students practice reading with small books we have here. AZ: After a long day, it’s usually a huge glass of water, marking, class prep, oratory or some self-care Jillian Michaels with Theresa. Our days are super packed and even when we are not in class the kids are always around so our days have a routine but are always different.